“Some of the peripheral objectives of literature are promoting morals, propagating political ideologies and escapism. We could see when examine deeply, those have been created to fulfil momentary needs of the society. For instance, objectives of contemporary Russian and Chinese literature seem to reinforce their political ideology. Even in Sinhalese literature, it seems that many write books with the objective of challenging the conventions. They believe that the progress of Sinhalese literature has been hampered by these traditions and conventions. According to them, the conventions in both society and in literature should be challenged." 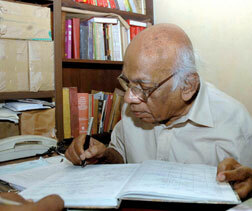 This brief note is on the passing away of versatile writer and thinker K.Jayatilake at the age of 85. 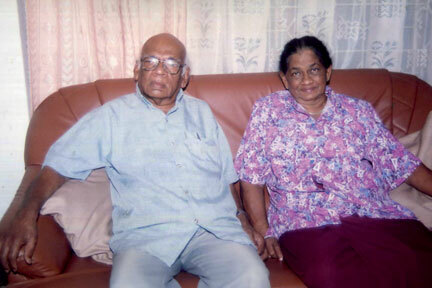 He was born on July 27 , 1926 in Kannimahara and received his education from the government’s Boys’ school in Radawana. During his illustrious literary career spanning over half a century, he received numerous accolades including Doctor of Letters from the University of Sri Jayewardenepura. His rich corpus of literary works includes 16 novels, eight collections of short stories, nine books on literary criticism. 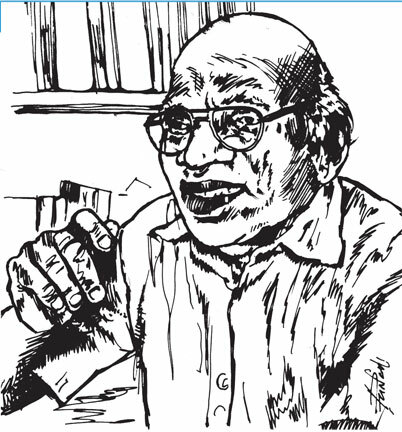 Apart from his literary legacy, Kaluarachchigamage Jayatilake or K.Jayatilake was a thinker. It is this remarkable combination which lends much-needed depth to his literary works and characters he created through his novels such as Charita Thunak and Apprasanna Katavak. “The combination of a philosopher, thinker and writer is a rare attribute for a person. Kaluarachchige Jyatilake or K.Jayatilake is such a person. ”, writes Kathleen Jayawardene. Jayatilake himself wrote about thinker or philosopher in writer. He says that a writer should be a thinker and it is impossible for one to become a writer. “An important task of a novelist is to examine what valuable goods that the mankind has left along the journey of progress. You cannot shirk this responsibility delegating it entirely to the philosopher. For it is he (the writer) who could present it lively ”-K.Jayatilke, Sahitya Vichara Chintavaliya. 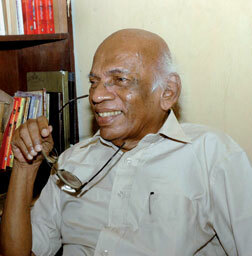 Jayatilake’s philosophical ideas were presented, for the first time, when he wrote the essay ‘Sannishad’ to Vyanga which he wrote together with Mahagamasekara in 1960. Subsequently these ideas in the same narrative style as that of Sannishad were presented in booklets Kudugoth Rachana, Atpasuru, Sankalpana and Niri bath. Although many identified them as either prose or poetry, Jayatilake says that they are not poetry. What is significant in these writings is that they can be subject to multiple readings and therefore, generates plurality of meanings entirety of which some readers may not grasp. But from any perspective, these writings would lead readers to a deeper understandings on the ideas enunciated in them. “Some of the peripheral objectives of literature are promoting morals, propagate political ideologies and escapism. We could see when we examine deeply, those have been created to fulfil momentary needs of the society. For instance, the objectives of contemporary Russian and Chinese literature seem to reinforce their political ideology. Even in Sinhalese literature, it seems that many write books with the objective of challenging the conventions. 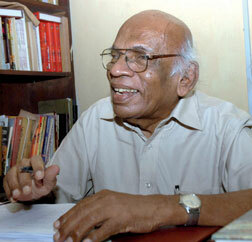 They believe that the progress of Sinhalese literature has been hampered by these traditions and conventions. According to them, the conventions in both society and in literature should be challenged. It is true that conventions should be changed. But when conventions are done away with, it poses a threat to the very existence of society. When conventions are challenged without any specific objectives, it could shatter societal ties leading to a kind of ‘anarchy’. Comprehending this, the writer would gradually infuse ideas on morality into the literature. This is valid for literary traditions. It is because of this, that some have to go back to folk poetry with metre when they are confused with blank verse. These crises, from time to time, are only ripples of water in the river of literature. Never will they become the mainstream. When troubles come in life, some try to find avenues of escape in literature. Those who like to read about fantasy worlds in which you may have everything imaginable and people are uneducated and hardworking labourers. They derive satisfaction from reading such fictions. Accordingly, it is obvious that breaking the moral code or convention is not la ofty objective of literature. Using literature to break the traditions when they become impediments to man’s progress is only a fulfilment of temporary needs. …literary work would be very popular when it fulfils momentary needs. But it will leave out of its role like an old soldier. But, a classical work of literature, may not gain momentary popularity, would get its due recognition. Most of the times, literary works achieve it prominence because of their noble attributes. If a literary work is able to retain that popularity, it is certainly, because of its noble attributes. The K. Jayatilaka library and the K.Jayatilaka Foundation in Radawana are born out of the philosophy of the writer. K.Jayatilake’s ancestral house which was built by his father K.J Arnolis Appuhamy in 1921 has been converted into a library named after K.Jayatilaka. It was in that house Jayatilake was born in 1926. Apart from the library and the K.Jayatilake Foundation, the serene atmosphere provided the backdrop for the rich canons of literary works by the writer. Contemporary Sinhalese novelist Kathleen Jayewardene states, “Madduma Podinona, K.Jayatilake’s mother knew folk tales and folk poems and she used to tell them as bedtime stories. Jayatilaka says that his mother never told the same story twice. He believes that these folk tales have inspired him to become a writer”. One of the important facts that would have contributed to make K. Jayatilaka a thinker and great writer is that he was a bilingual who read widely in English. His substantial knowledge of philosophies both Western and Eastern is amply manifested in Darshanavada Asabadin (Edge of philosophies). It is pertinent to end this brief note on him with a quotation from Atpasura.